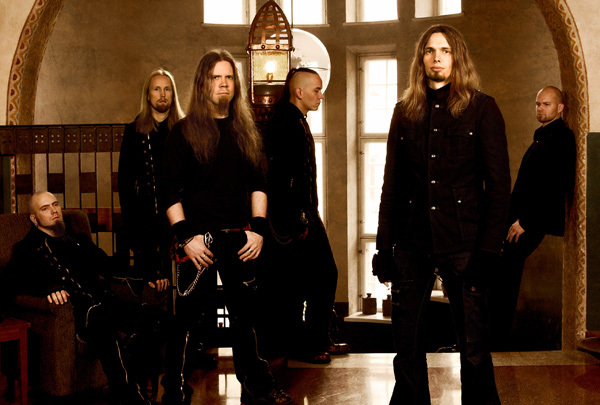 Swallow The Sun is a Finnish melodic death/doom metal band formed in 2000 by guitarist Juha Raivio. So far they have released 4 albums, 2 singles, 3 music videos and 1 EP that contains a song with the lenght of 30min. 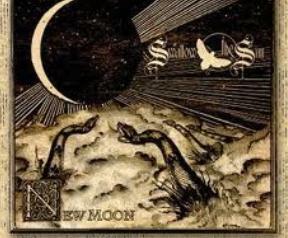 Their last album New Moon came out in 2009 and they have spent the last year touring. Swallow The Sun also played at Tuska Open Air 2010 – so I got a great oppurtunity to interview them. The interview is a bit short due to the fact that it was conducted before their show and they didn’t have very much time. The interview is with the band’s guitarist and music-writer Juha Raivio and the bassist Matti Honkonen. How have you been? How has been the summer for you? JR: It’s been great. We’ve been doing few festivals so far and we’ve been playing Israel for the first time and we also played this big festival in France – Hellfest. That was fantastic. And Nummirock more up north in Finland. It’s been good and I have to say that after this Tuska gig we have a month long free time, no more gigs, and in fact I’m really happy about it. MH: Yeah, a little break for us. Next month is going to be full of festivals and then a tour to US with Katatonia. So, it’s going to be a little break. It’s great to have a month long break before the other long tour in the US. JR: Yeah. When I was younger I was like – Oh yeah, it’s going to be a gig and now I’m more like – yeah, it’s not going to be a gig in one month. We love playing gigs and all the festivals but “New Moon” came about six months ago and we’ve been touring for almost 4 months now. So, it has been a lot of gigs. A little break is good and I’m happy that it’s the summer time. How was the acceptance of the album New Moon? Are you happy with it? MH: And it seems that the audience seems to like it. It’s all that matters. JR: It’s definitely a bit different album, some new kind of things there. We always have little bit of new things with every album but still try to keep it sounding like Swallow The Sun. I’m really happy about the album and I’m happy how it sounds like. There are many good live songs. Regarding the live songs – I’ve always thought about your last album Plague of Butterflies ; it’s basically a 30min. song. It must be pretty hard to play it live? MH: Yeah, but we have done it here in Finland. But we don’t have that much time in festivals or if we are a support band in the US – we only have limited time. So we can’t play that live often. It’s a little bit of shame because we have done it in Finland and it works very well – one song that is 30min and then the show starts. JR: But we usually play one part of this song. And I think we will play one part of this song even today but not the full song. But at first when you started writing it, was it like a concept or a thought to write such a song or did it came naturally in writing process? JR: It supposed to be a metal ballet. We got an offer to make music for a ballet and I was like yes, of course. They had used our music in their shows before also. I was like – this is a great idea. I can make this long story in this one song. It was ordered from us. But the ballet never happened, there were money issues at the end – surprise, surprise. But we got the music anyways. I’ve always thought that your music would suit this kind of horror movie or something like it. What do you think about it? Would you want it to be a soundtrack to some movie? JR: You know, somebody has been using our music in a horror movie or something like this. Many of our songs are set musically in a way that they’d suit on a movie. And actually the lyrics are also quite suitable. Many of our songs have this movie kind of vibe/feeling. At least for me. What about performing in Estonia? MH: Of course we want to play in Estonia. We want to go everywhere we can. Well, almost everywhere. It’s not always up to us – it’s up to the organizers and everything connected with that. Talking about Estonia. Do you know any Estonian metal bands? Maybe for example Metsatöll – also under Spinefarm records? MH: Yeah, I’ve seen them live. We played with them in one festival in Vana-Vigala (Hard Rock Lager – annual metal festival in Estonia). I think it was Metsatöll. But I know we played with them. But I didn’t know they were from Estonia. Yeah, they were recently signed with Spinefarm. MH: Yeah, I’ve heard the news. I’m really happy that Estonian metal is finally breaking out to Europe also. MH: Yeah, of course, that’s a very good thing. A lot of bands and artists have released their autobiographies. Will there some day be a Swallow The Sun biography? JR: Yeah, it’s gonna be and it’s going to be two pages long (laughs). What kind of bands are you going to see in Tuska yourself? JR: Satyricon is playing right after us so I’m gonna miss it. But Devin Townsend Ziltoid Project – I’m really waiting for that. What else – of course Megadeth. Regarding Megadeth. Did you see maybe the Big Four concert? It was brodcasted over satellite to cinemas everywhere? JR: Yeah, I heard about it. But we didn’t see it. But it would have been great to see it. So, thank you for the interview. It was great talking to you.